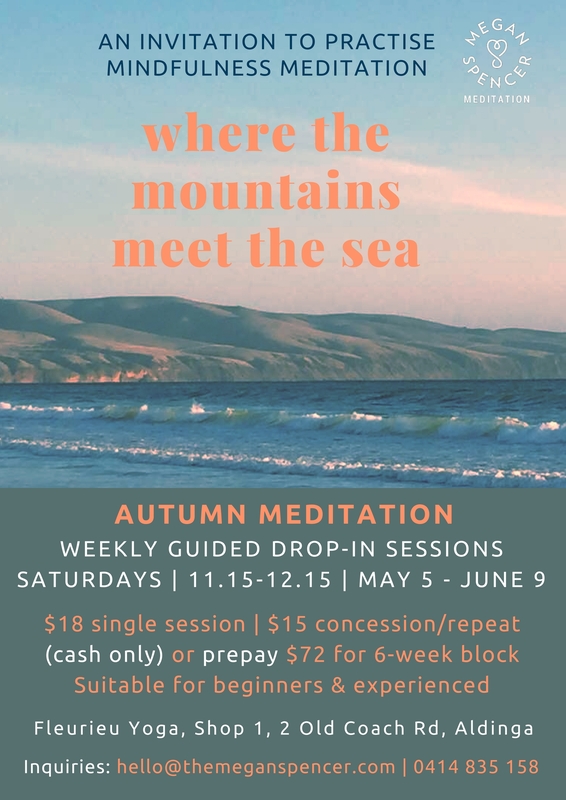 From May 5, 2018, Megan will teach a new 6-week program of meditation ‘drop-in’ sessions at Fleurieu Yoga in Aldinga, South Australia. 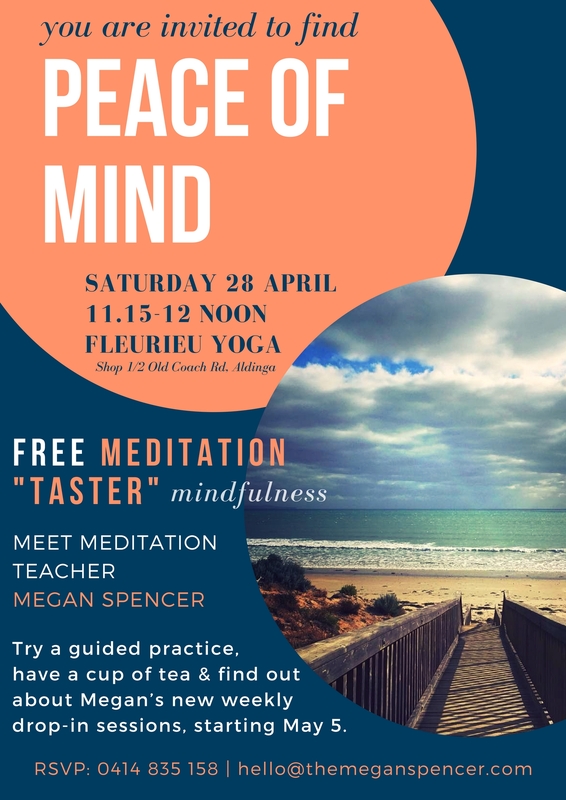 Come and experience a FREE guided practice, have a cup of tea and and find out more about Megan’s meditation teaching, Saturday 28 April, 11.15am – 12pm at Fleurieu Yoga. Suitable for beginners; experienced meditators who enjoy guidance; those who’d like to refresh or expand their practice; and those who enjoy meditating in a group/community environment. Saturday 28 April, 11.15am – 12.00pm. Please arrive early for prompt start. (Late entry cannot be guaranteed). More about the ‘Autumn 2018’ 6-week drop-in sessions here. Megan has been practicing mindfulness meditation since 2009 and teaching since 2015. She first learned Mindfulness-Based Stillness Meditation at The Gawler Foundation, where she also completed her initial teacher training. 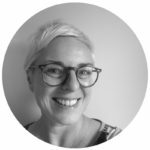 Megan has taught meditation in Germany and Australia, and undertaken numerous study courses, teacher trainings and professional development retreats on her many travels. Download the ‘Free Meditation Taster’ flyer to share with friends and family!